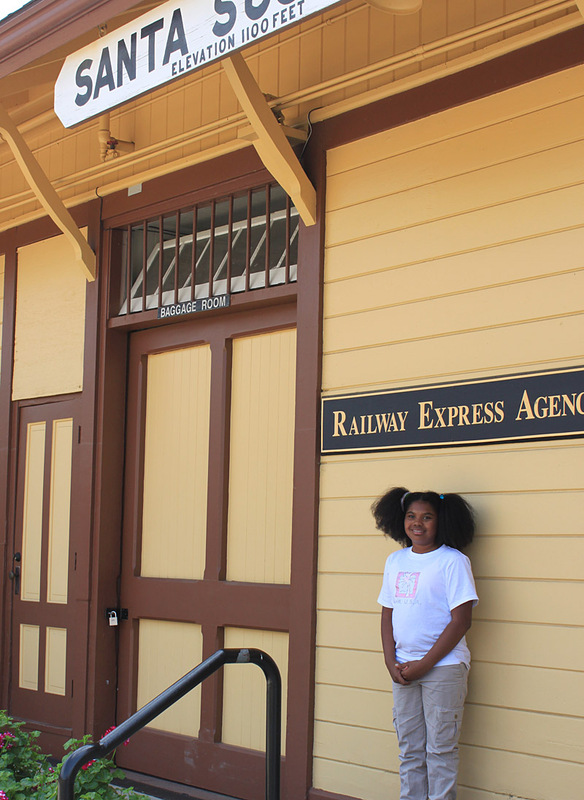 For her fourth grade California history project, Naia decided to do a scrapbook on how trains brought - and still bring - people and goods to the state. 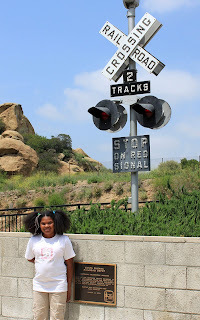 Since she's on spring break this week, hubby and I are taking her to several train museums and for a ride on Amtrak (hopefully) Thursday to get the project underway. We got off to a rocky start today. 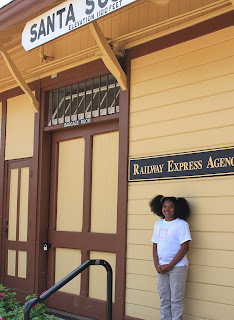 When Naia decided on her project, my first thought was Filmore & Western Railway! It's a great place, with lots of trains, both old and new, and even a functioning roundhouse for turning trains around. Yeah. Closed on Tuesdays. 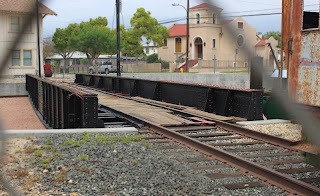 Even the museum, which was supposed to be open today, was closed. We walked around and saw trains from the outside, but it wasn't what I'd hoped for. 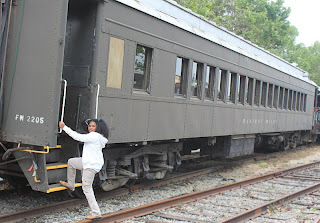 We need to go back when they're open so we can get photos of the inside of some rail cars and locomotives. 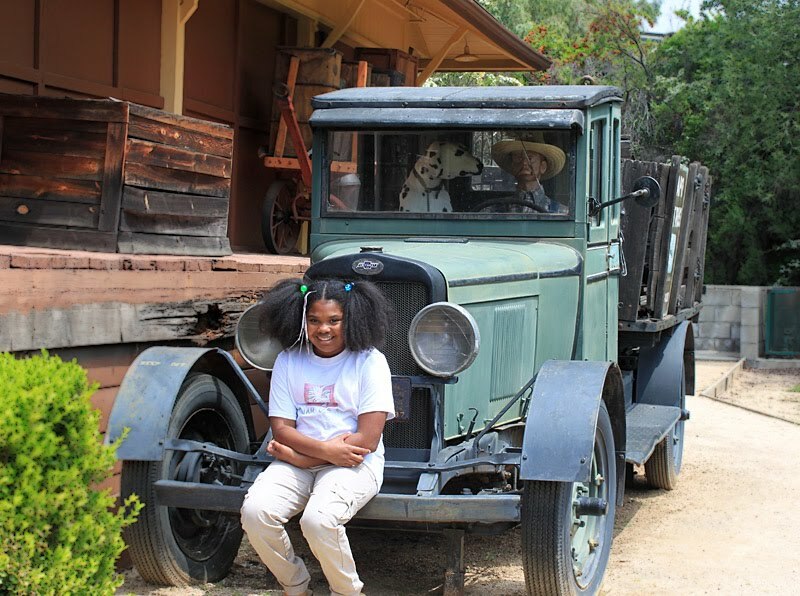 Our second stop was the Santa Susana Depot and Museum. 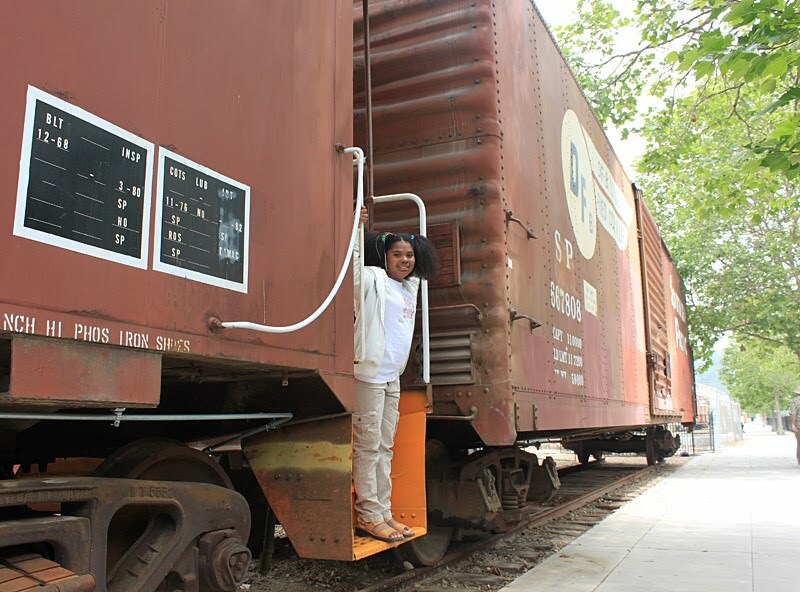 I knew from their website that they were only open on weekends, but I thought they'd have some trains parked nearby that we could view. Wrong. It's a cool depot, what we could see through the windows, and they had some great photo props outside. 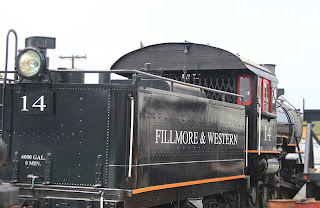 Tomorrow's excursion is to the Nethercutt Museum in Sylmar to see their locomotive and private rail car. Sure hope they're open . . . .